Qi tonic, fading pulse, spleen qi deficiency, excessive loss of fluids or blood, shortness of breath, cold extremities, feeble pulse, yang deficiency, middle burner deficiency, fatigue, nausea, vomiting, poor appetite, low voice, diarrhea, stomach prolapse, rectal prolapse, asthma, spontaneous sweating, weak pulse, lung deficiency, to promote generation of body fluids, thirst, excessive perspiration, excess heat damage to body fluids, insomnia, disturbed sleep, excessive dreaming, fright, confusion, forgetfulness, worrying and insomnia, impotence and exterior imbalances with interior deficiency are some of the imbalances satisfied clients have used this product for. Yuan (source) qi is the basis of all qi in the body. Ren Shen (Radix Ginseng) is the best herb to strengthen the body and restore energy. 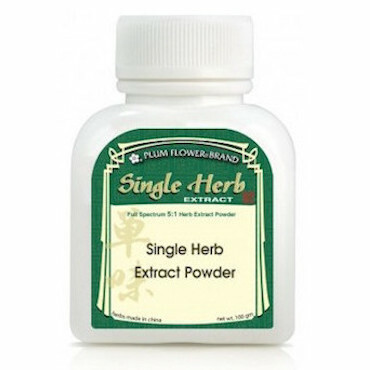 Typical Usage of Herbal Powder 1 to 2 grams per day or as directed by your wellness coach. The dosage of Ren Shen may be increased to 3 to 6 grams to treat collapse of yuan (source) qi. The decoction should be taken in multiple small doses (instead of one large dose) when treating collapse. The effectiveness of Ren Shen may be reduced by concurrent consumption of turnips, daikon radishes and tea. Specific symptomatic treatments are also available. Chen Pi (Pericarpium Citri Reticulatae), Sha Ren (Fructus Amomi) and Shan Zha (Fructus Crataegi) treat bloating, which sometimes occurs with use of Ren Shen. Acute cases of overdose can be treated by emetic methods. Ingestion of 1.2 to 1.5 grams of Li Lu (Radix et Rhizoma Veratri) with warm water will usually induce vomiting of the ingested Ren Shen within a few minutes. Chronic cases of overdose can be relieved by ingestion of daikon radish. The treatment is to either ingest 500 to 1,000 grams of fresh daikon radish, or to cook 250 to 500 grams of dried daikon radish and administer via decoction. Severe cases of overdose characterized by epistaxis with bright red blood, red tongue and rapid pulse should be treated with herbs that clear heat cool blood and stop bleeding. Herbal treatment includes 6 grams of powdered Da Huang (Radix et Rhizoma Rhei), 3 grams of San Qi (Radix Notoginseng), 3 grams of Shui Niu fiao (Cornu Bubali) and 400 ml of juice squeezed from fresh daikon radish.